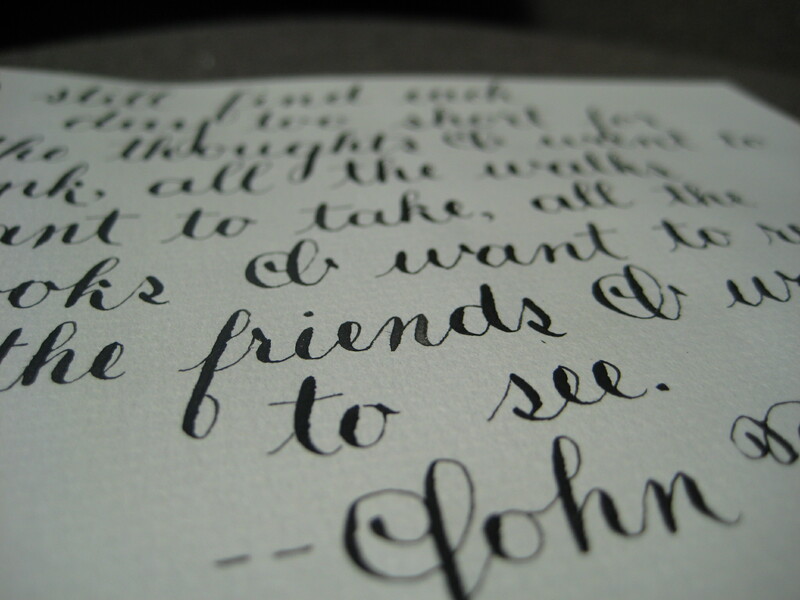 I use quotes like this one as lettering practice, primarily because I get bored with repeating anonymous swirls. 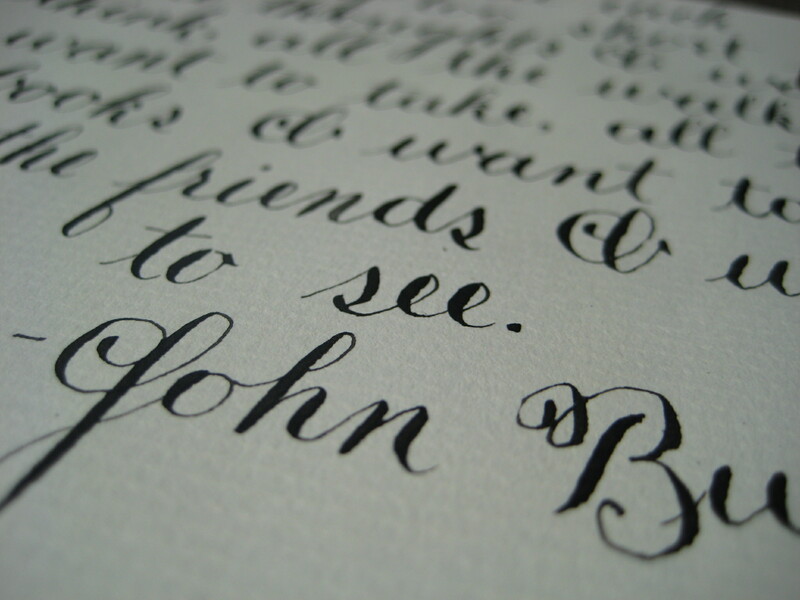 Do you have any favorite quotes or poems that would lend themselves well to calligraphy practice? Let us know in the comments, and see more images after the jump. 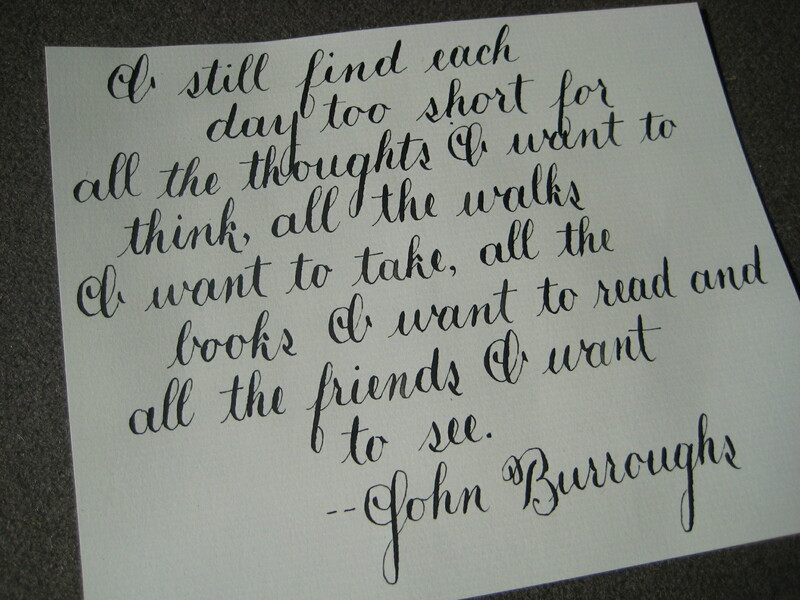 This entry was posted in Musings + Quotables and tagged calligraphy, friends, lettering, quote, time.